Lincoln Square Montessori School is proud to serve the Chicago area by providing your child with an authentic Montessori education! Our dedicated staff applies every day the Montessori philosophy and method of “following the child”. We lay a solid foundation for your child’s journey through academia and nurture awareness of his/her part in the community. Our school consists of two classrooms each carefully designed according to your child’s age group. The Sunshine Room hosts 2 to 3 years olds, and the Rainbow Room, our Primary Group, accommodates children 3 to 6 years of age. Our school is enhanced by our proximity to the neighborhood parks. Rain or shine, we take our students outside to exercise both mind and body. 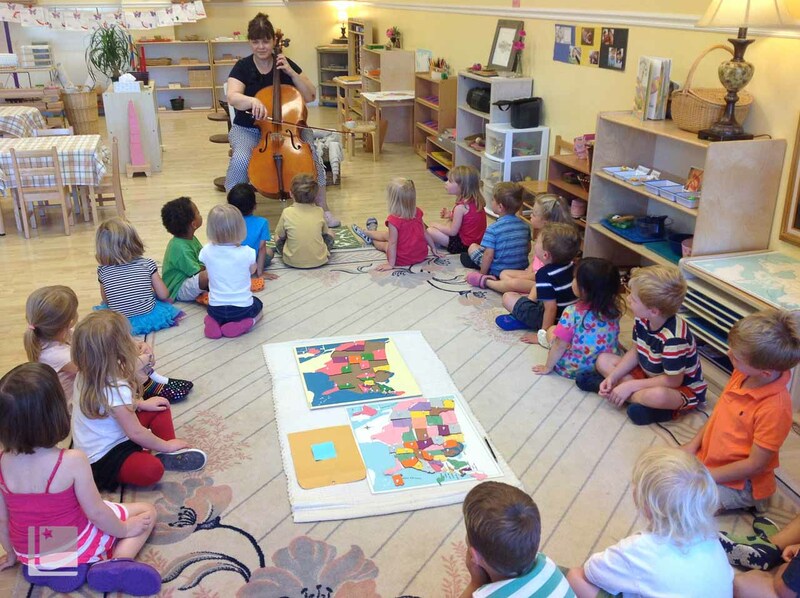 In addition to the regular curriculum of our school, we offer extra-curricular activities such as individual and group music lessons in Suzuki violin and cello, and Spanish language classes. Our mixed age classrooms, Montessori trained staff and diverse classroom materials, nurture a lifelong love of learning, self-sufficiency, and social skills. We are more than a preschool, we are a dedicated community of caring individuals working together to bring out the potential in each and every student. Our school provides a nurturing, structured environment essential for a child’s physical, intellectual and social development. Our dedicated staff prepares the classroom environment with great care so that the needs of our students met as they grow and develop. The method and classroom materials created by Maria Montessori enable our teachers to foster the independence and self confidence of the children. By meeting each child’s individual needs, as well as emphasizing a sense of community, we guide our students toward developing their full potential and becoming lifelong learners. Our Montessori & Early Childhood trained educators have extensive Montessori experience & understand the importance of the child’s early years as being the foundation for the child’s future. Our classrooms are fully equipped with a complete set of Cycle 1 Montessori equipment & our natural, stimulating environment allows each child the freedom to develop and learn at their own pace. We work together with families & encourage them to become involved & responsible for their children’s education. Sign up to our newsletter to receive special offers. Lincoln Square Montessori School is proud to serve the Chicago area by providing your child with an authentic Montessori education!